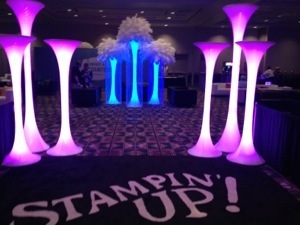 And we have begun our annual Stampin’ Up convention here in Salt Lake City! Susie Brown made this really great tag for my convention bag! So adorable! Always great to see friends here each year! 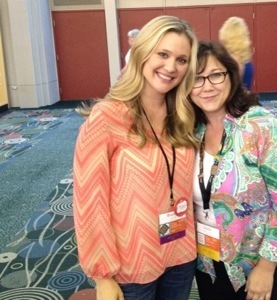 Brandy Cox is just as sweet in person as she is in her videos. This was her swap that she made this year. 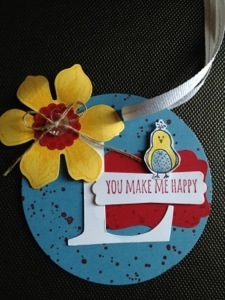 The stamps that is called Kinda eclectic and she used Mossy Meadow and Daffodil delight I believe. Striking! 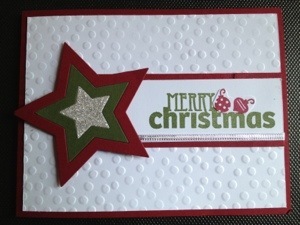 One of our Florida demonstrators, Janet Munden, made this cool Christmas card using the star framelits. Look closely at the star and you will see that she embedded the stars together as opposed to stacking them up! Stampin’ Up! has a really cool recognition room for those who have earned a trip or an award for achievements in sales for leadership. 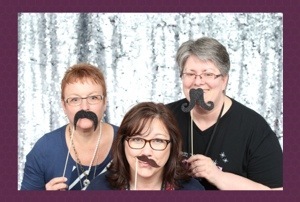 They also have a fun Photo Booth and Patsy Waggoner, Dawn Olchefsky and I had some fun with the camera! 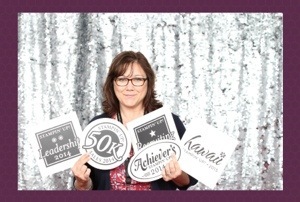 I’m so excited for Janet Munden, one of my directs on my team, who earned the Hawaii grand vacation. So we will both be heading to Hawaii next year! I had a very good year, thanks to all my wonderful customers and Team! Fun pictures. Congrats on your trip. 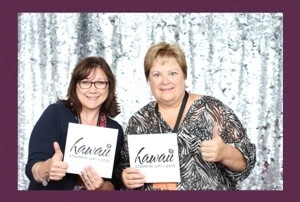 Such fun pictures, Linda! Congratulations on all your achievements this year. It’s fun to see “you all” especially you, Dawn, and Brandy whose videos I enjoy! You go girl! Congratulations on your awards. Hawaii here you come. Congratulations Linda! Based on the great, personal customer service i know you provide to my mother all the time, as well as what I have received in working with you, it’s no surprise you earned all the accolades you did! Way to go linda..have a great time. Brandy is my upline, even though I have never met her. 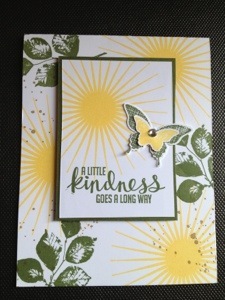 Love her card. Its so cheerful. Looks like Convention was so much fun. 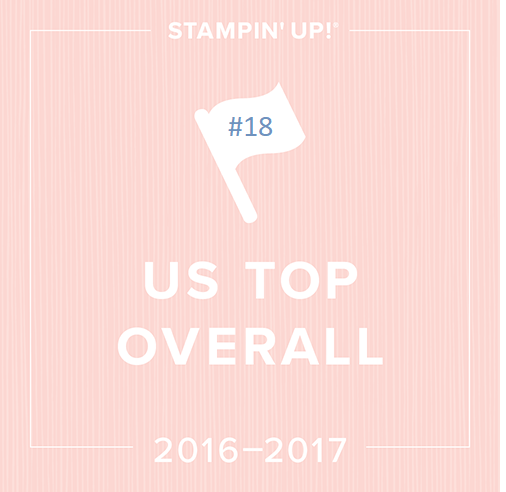 You have a great Upline!